Energy-efficient windows are great at forming an airtight seal around the frames. Natural light can come in while air from inside the home doesn’t come out, allowing the HVAC to have an easier time regulating the indoor temperature. This means you get a more consistent temperature, improving overall comfort levels. While our energy-efficient windows provide plenty of natural lighting, they do a good job of keeping the heat outside. Special low-E glass panels are specially designed to cut down the amount of heat that can pass through it. Combined with our thermal-resistant Fibrex® frames, you can stay cool during summer without sacrificing natural lighting whether it’s a casement or a double hung window. Keeping regulated air in is crucial for comfy indoors, but keeping unregulated air out is just as important. Air coming from window drafts can add more burden to the HVAC, forcing it to keep working overtime just to maintain temperatures at a comfortable level. Our energy-efficient custom windows are not just designed to keep your home cool; they also do a great job at keeping the indoors warm during the coldest times of the year. With superior insulation and thermal resistance than the alternatives, our energy-efficient windows provide the comfort you need all year round. Get energy-efficient windows from the best in the industry. 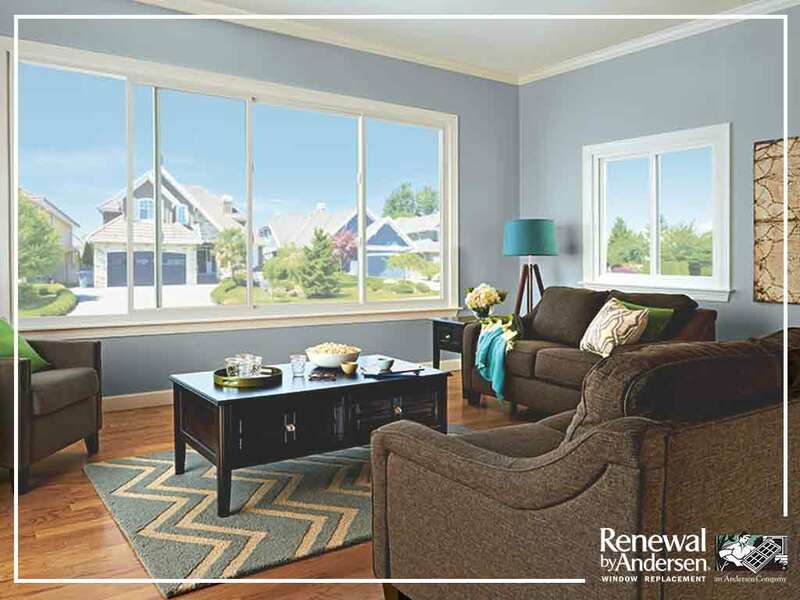 Renewal by Andersen of Central Florida is the most trusted window company in Maitland, Florida. You can call us at (407) 512-5504 or fill out this contact form to request an estimate.